Winchester Model 70 Extreme Weather SS in 30-06, 300 WSM, or 280 AI. With the 280AI you would have to have a custom barrel put on but that is a great rifle. For a scope I'd go a 4.5-14x40mm Leupold with the B&C reticle or a 6x42mm Leupold fixed power scope. Another good rifle would be a Montana Rifle Company X2 in either of the calibers listed above and one of the two scopes listed. Those are my picks. man o man, so many options! if you're thinking about a 300 weatherby, might as well get the bigger better badder 340 Wby! the magnums I'd want with a 24" barrel, non-mags, probably 22" barrel. the 270 I want in a lightweight/normal weight with 22" barrel. the 300wsm I want in the same but with a 24" barrel. 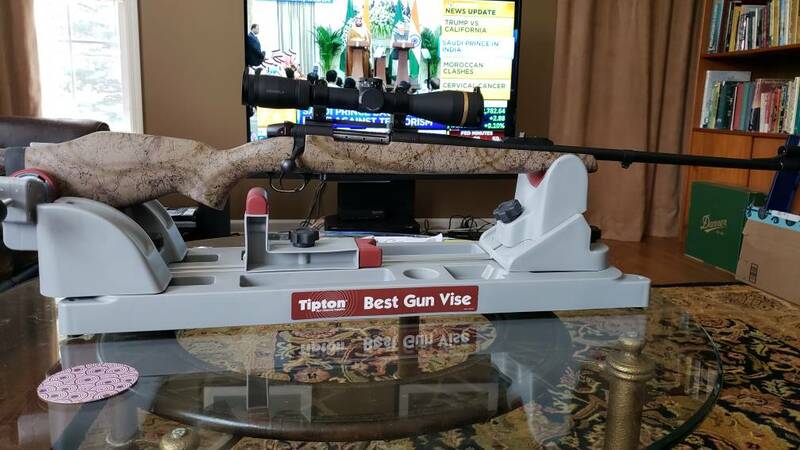 I know that no one is going to get my .340 Weatherby mag until I finally decided to give it up. That rifle shooting 225 grain Barnes TTSX bullets have proved deadly out to 780 yard on anything that I have placed the cross hairs on with all but a couple one shot kills. But I do like my 25-06, after shooting the .340 that .25 caliber feels like a BB gun. Certainly not new, as it’s been my “only” hunting rifle since 1990. The “only” changes made, have been a scope change about 5 or6 years ago (Leupold 3.5-10 CDS) in Leupold QD base/rings, and changed Bullets as Barnes changed their technology. The combo weighs 9 pounds 1 ounce (scoped, loaded, and slung), Win. Model70 action, Douglas SS Match Grade barrel with express sights, in a McMillan stock. Chambered in .375 AI, pushing 250 grain Barnes TTSX’s at 3130 muzzle velocity. She’s zero’d at 300 yards, and the CDS can bring me out to just over 800 yards ( farther than I care to shoot at game). Last edited by memtb; 02-06-2019 at 09:33 AM. This is what I have bought. It's a used Weatherby Mark V dangerous game rifle in 300 weatherby magnum with a 26in barrel. It's been cerakoted, has a timney trigger and a polished bolt. I put a Leupold VX6 HD 2-12x42. Just got the scope on it Monday. Bought a couple of boxes of Barnes 180gr TSX to put through it. Stayed within the budget I posted. Last edited by SteveCNJ; 02-21-2019 at 03:43 PM.